Let me first thanks BBPS Noida for organizing such an informative career counseling workshop that guided students to choose right career option/s. 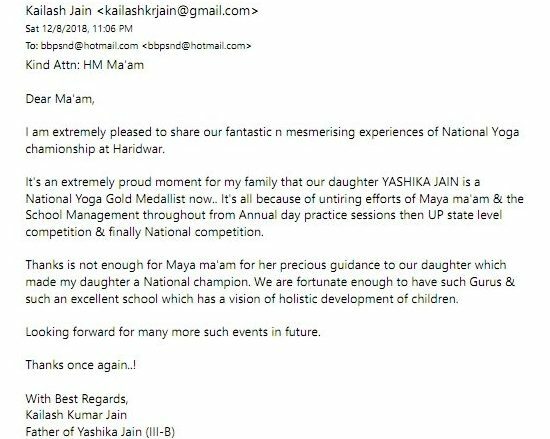 Mt Love Jain did a commendable job in guiding both parents and students. The interactive session helped the parents to clear their doubts as well. 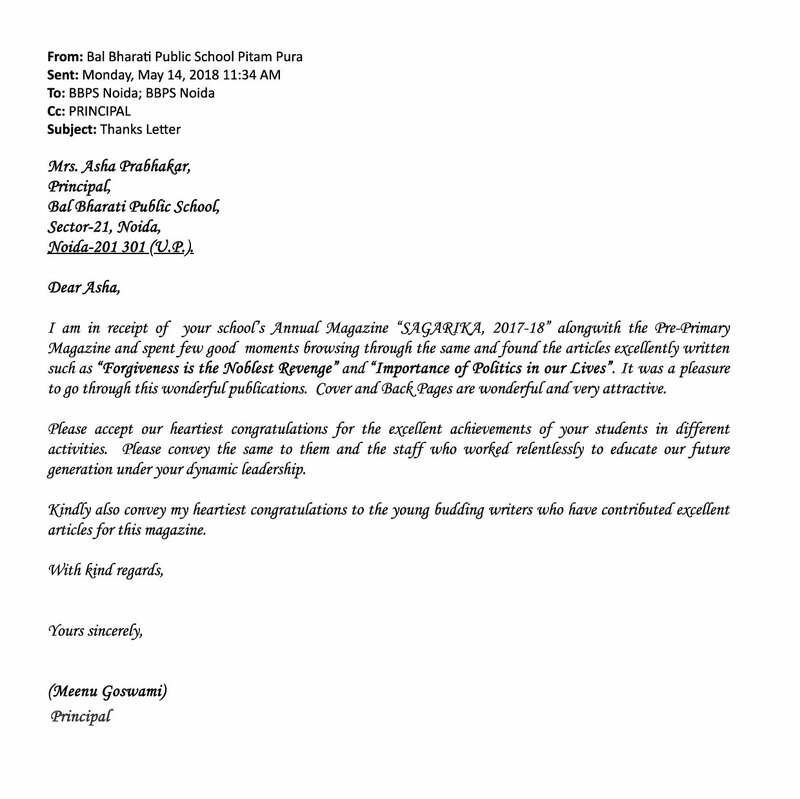 This is to convey our heartfelt gratitude for sending your team to participate in Rastravandan Inter-school Musical Drill Competition. It was indeed a pleasure and honour to have participants from your esteemed school. Their efforts were highly appreciated by all. The results of the competitions are appended hereunder. Thank you once again for your contribution in making this event a grand success. We look forward to your enthusiastic participation in the forthcoming years. 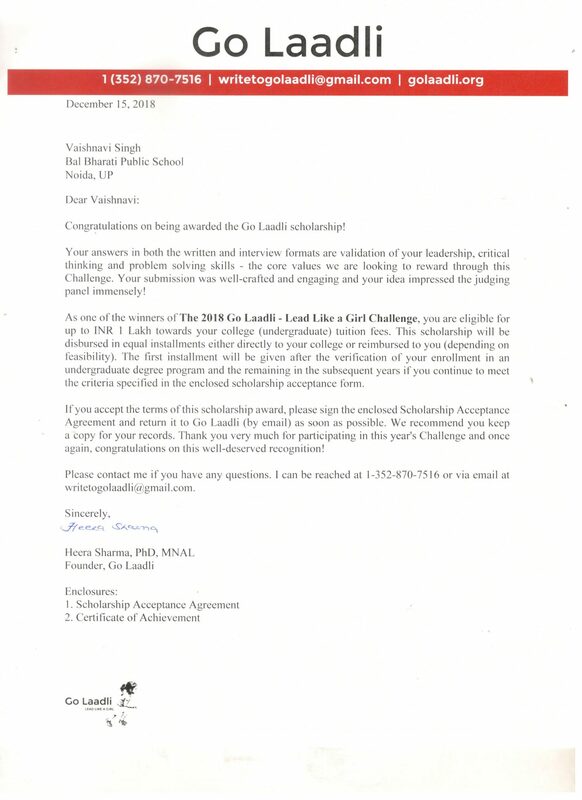 Heartiest Congratulations to the students and the mentors at the School for this achievement. It was my pleasure to volunteer for adventure camp. The whole team was very encouraging and highly supportive for kids needs. The staff memywere always upfront to help all the kids and were guiding them through out. On the other hand, it was a pleasure to watch children enjoy doing each and every activity and trying new things. Few kids were over enthusiastic to do everything first and some were a bit shy but all of them wholeheartedly enjoyed the day. Their smiles at the end of the day told the stories. The meals were apt for kids taste and were served with adoration. It was an enriching experience to work with these little wonders. Thank you once again for giving me this opportunity. 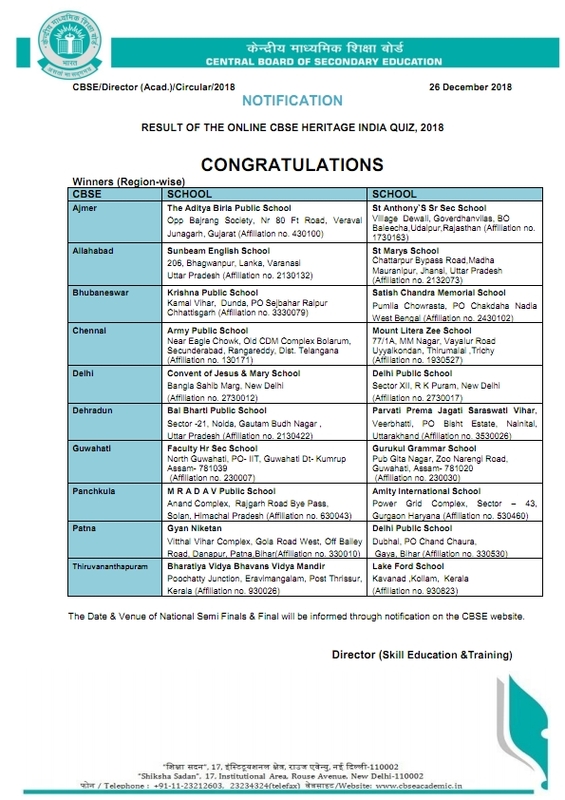 It gives us immense pleasure to see our Son Siddharth Venkatraman (Class -I B) name in the rank holder's list in IEO (International English Olympiad). 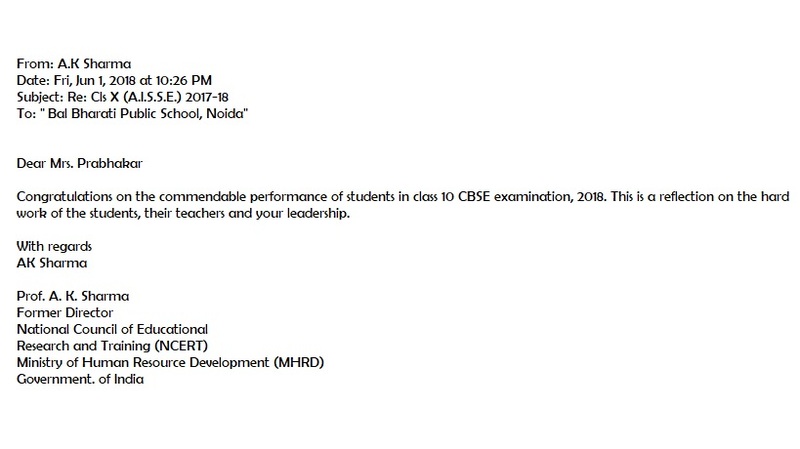 He stood 2nd Rank in School and 10th in Zonal & International level.Needless to say, the credit goes to all his teachers who have helped him to achieve this accolade. We believe this is just the beginning to an important & successful years at this great school. Please pass on our sincere thanks to the entire teaching fraternity. Kudos to all the kids. First of all, I would like to thank you for having me as a parent volunteer for the adventure camp held on 17th December in the school. 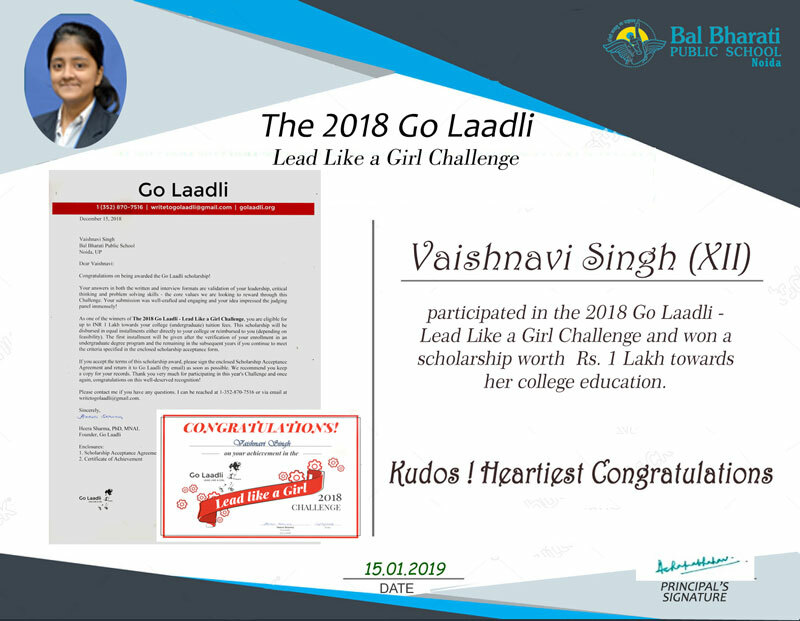 Starting from the beginning, I appreciate your technique of selecting the volunteers through lottery system and giving chance to each E-mail received. My day as a volunteer began near school gate where I got to see all cheerful and Enthusiast children greeting their ma'am. The children were divided into smaller groups with equal boy - girl proportion. This really helped all the children to complete all the activities in sections on time. I was given responsibility to work with PP1B with Vibha ma'am and Hema ma'am from sports team. They were very encouraging and highly supportive for kids need. 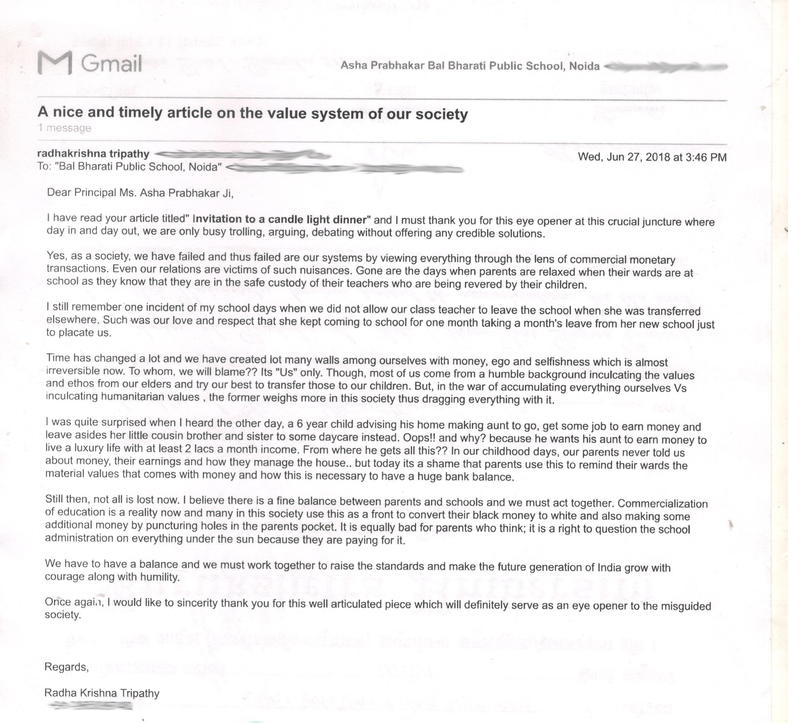 Children basic needs were utmost important for Vibha ma'am through out, just like a mother. I was so happy and satisfied to see that. 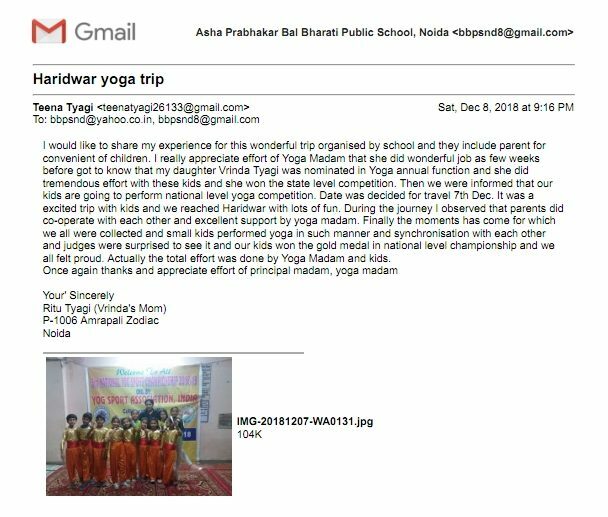 The whole staff, including Sarika ma'am, all the teachers and all the didis were always upfront to help all the kids and were guiding them through out. The meals at all 3times were according to exact kids taste. We even tasted the food before and gave our inputs before the kids started with their each meal. I feel honored and obliged to receive the invitation for the “AGNIPATH-Annual Athletics Meet 2017-18. I am sorry for not attending this prestigious ceremony because I have to go for an Urgent Business trip to out of town for three days. 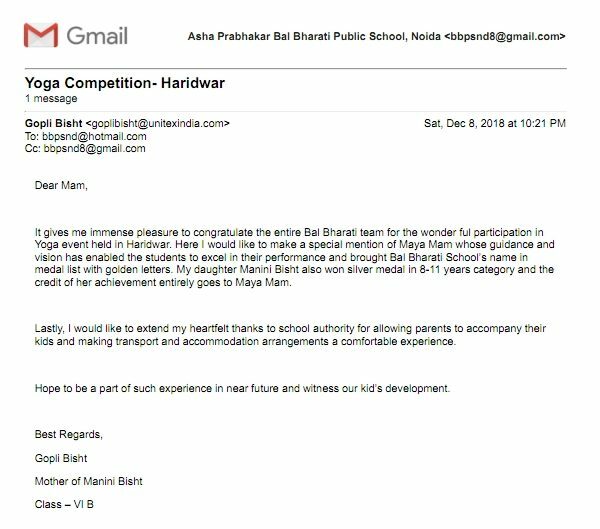 My best wishes to all the participants, Teachers and concerned school authorities for the event and make this event successful and grand like other events held in school. 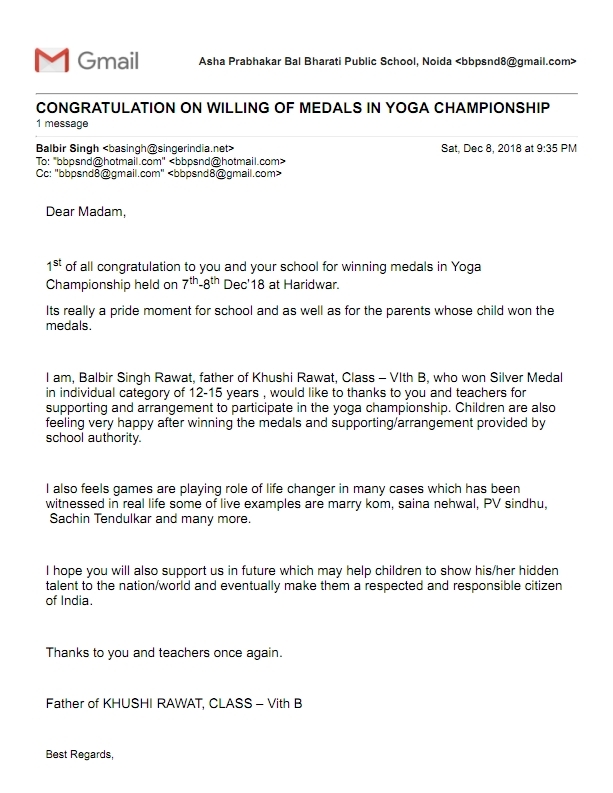 I would also like to congratulate the students and the teachers for the achievement of Silver Medal in “Ramanujan Quiz” in Amity International School, held on 21st Dec’2017. My best wishes to all teachers and school authorities and blessings to all participants for “AGNIPATH”. 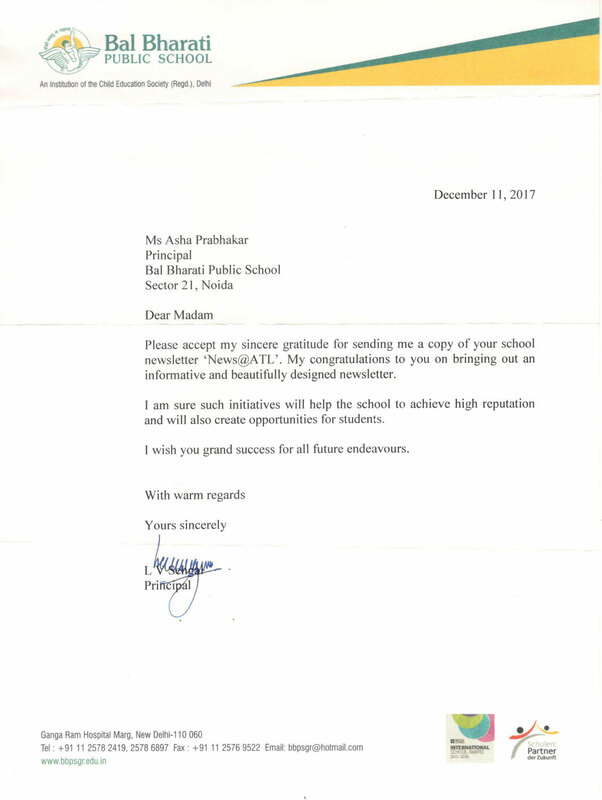 I would like to thanks Principal Madam for the Invitation and I wish the school will touch the Zenith in her profound leadership. 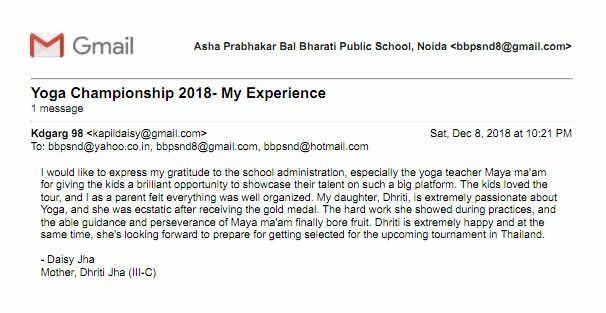 My ward Aaradhya Dhunna is studying in BBPS -PP-ID. 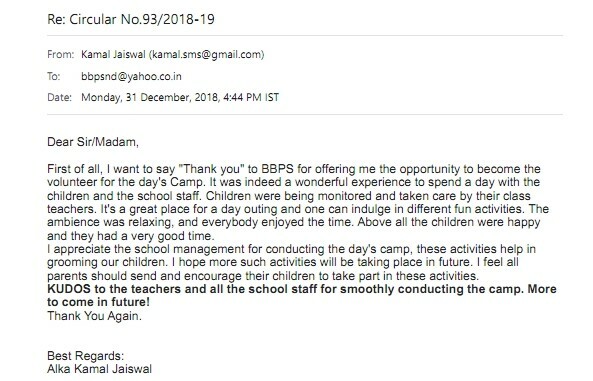 I would like to thank and congratulate the BBPS team for organizing the adventure camp for pre-primary students. The kids were extremely excited for the camp and it came out to be an amazing fun & learning experience for the little ones. The adventure activities were carried out extremely well under the guidance and professional team and teachers. Thanks to all the teachers and staff who sacrificed their weekend to manage this. 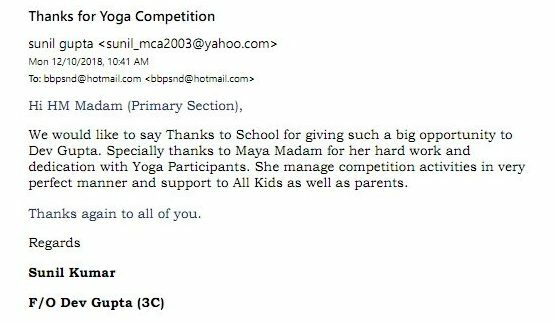 Special mention of Sarika Madam, Shueli Madam & Shalini Madam who are always there for the children. They always give us the confidence that the children are in safe hands. Appreciate all the efforts and looking forward for such activities in future as well. Thank you so much for the invitation for the Annual Athletics Meet. Regret that due to prior engagements I will not be able to make myself available during the event. Wish the event to be a great fun and full of energy and enthusiasm. 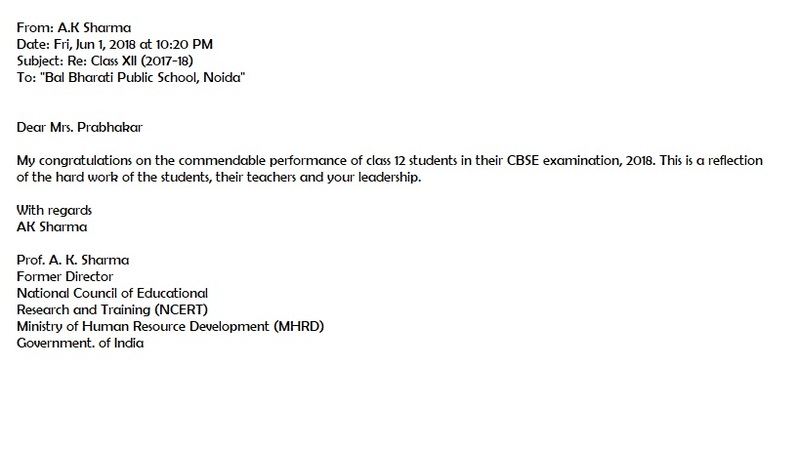 BBPS, Noida under your able leadership is doing great and we are happy with the holistic development of our kids. The Camp experience was awesome and adventures for kids as well as for Volunteers. Rocksports Team was well trained to take care of Kids. Being a Volunteer I would encourage the same next Year too. Amazing, extraordinary and unforgettable experience with the kids, teachers, staffs and all the trainers at ‘muddy boots’ camp. From the notification of circular for the camp, selection of parents participants, the bus arrangements, adventure activities, DJ, first aid arrangements, foods, games and finally dispersal of the students were professionally organized. All the kids enjoyed a lot. The care and attention of the teachers to every child make me believe that my daughter’s future is in the right hands. It was really good fun, the whole camping expedition was a pleasant surprised. Spent times with the good company of the school staff were enthusiastic and kind. 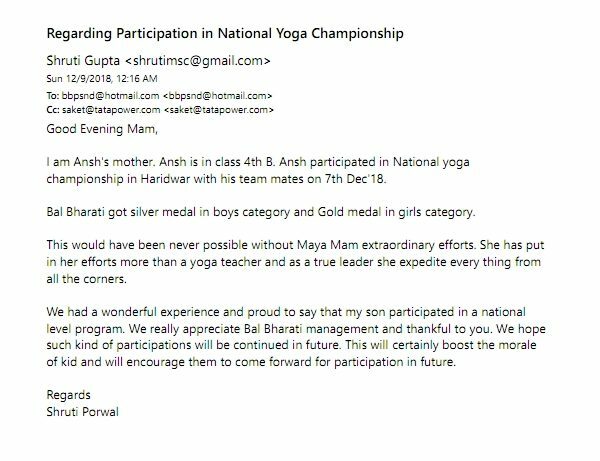 I am very much thankful to the Principal Ma’am for organizing such event and include the parent participants. Thankful to the H.M. ma’am for monitoring the whole event carefully. 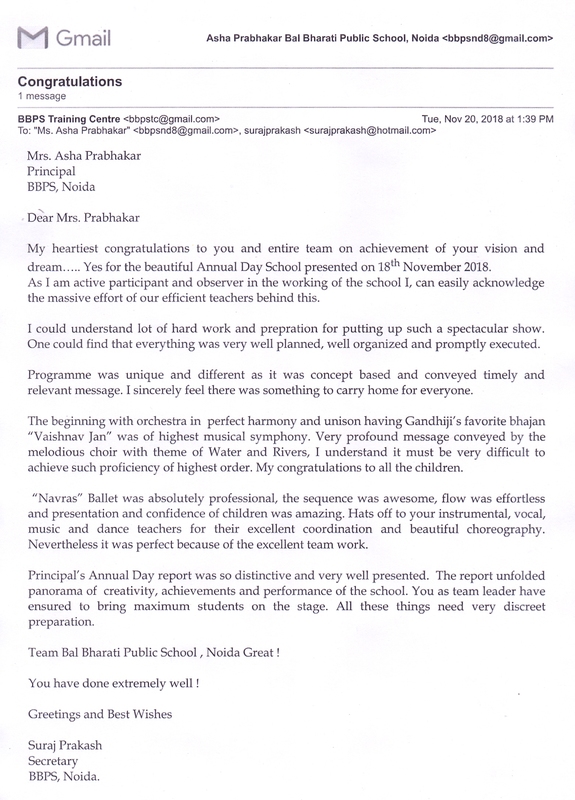 Thankful to all the teachers and staffs for their brilliant professionalism towards the kids. I must also thankful to all the future leaders of the society for making me a part of their camp. My feedback for the event is BRAVO-ZULU. Please find enclosed my feedback. It was a very cordial and harmonious interaction with the school teachers and other staff members. We all were full of enthusiasm and the school environment was full of energy. The arrangements done by the school were excellent. The school was beautifully decorated. School children were present in a very good strength. Atmosphere was very energetic. 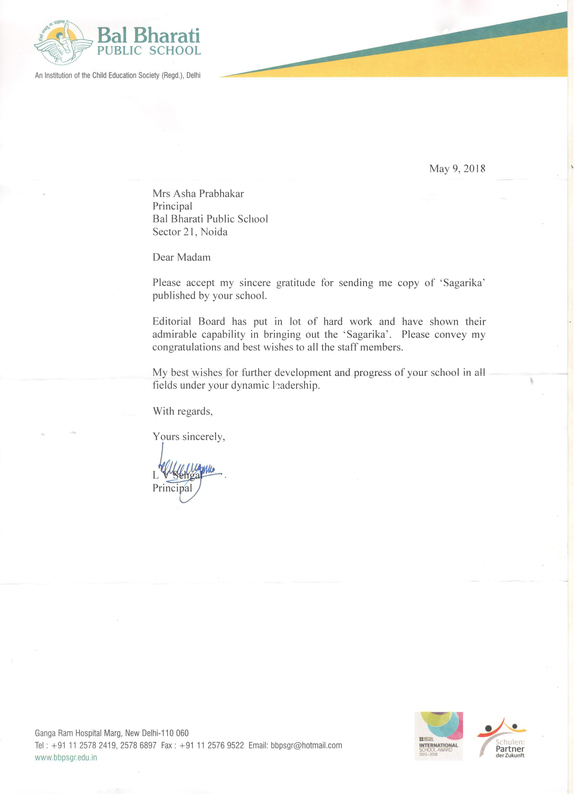 Sarika Mam, Ayesha mam and all the other teachers present there greeted and welcomed us very warmly. 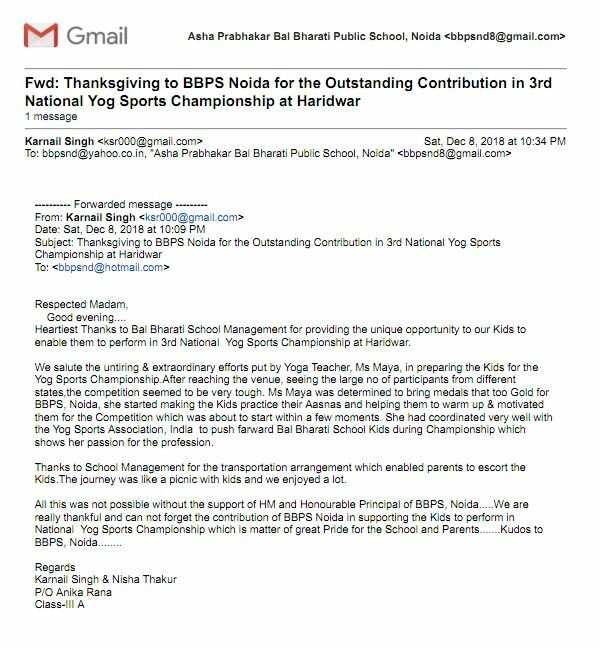 We were felling very proud to be a part of BBPS family and the emotions were really very high. The first part was briefing and Group Distribution which was done in a very disciplined way. I witnessed personally that every group teacher was taking care of each and every student very carefully whether it is game, fun activities, food eating, washroom needs of children, hand washing of children etc. Even Rocksport Academy done a great job in organizing well all the events, beautifully explained to children and played well in the given time frame. Greatly coordinated. Tiny tots surely rejuvenate inner strength and confidence in themselves. I myself involved in some of the activities and feeling young and inspired. The food quality was awesome. Nicely cooked, hot and not very spicy. Sarika Mam invited all the volunteer parents to taste the food first before offering to the children so that any shortcoming in food can be rectified. Really nice. Thankful to all. We got the privilege to be the part of the Day's Camp. We enjoyed a lot. We clicked some beautiful pictures there. 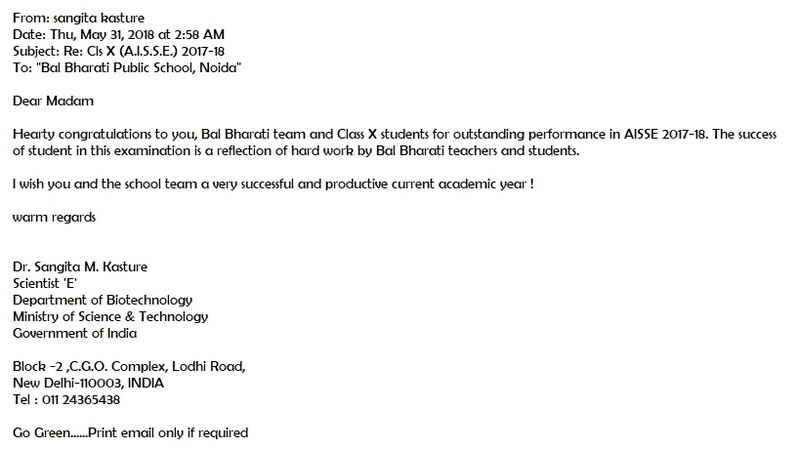 It was really a great feeling and sense of happiness and satisfaction that we choose a right school for our ward. 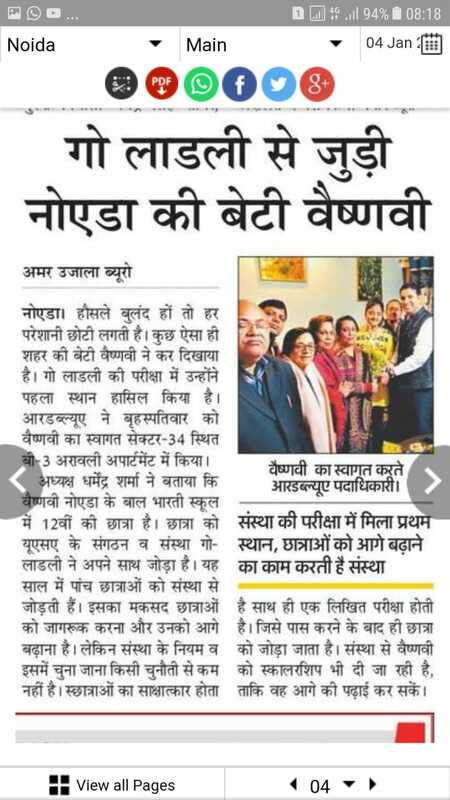 Great going for BBPS, Noida. Thank you for inviting us as a Parent volunteer for Kids Adventures camp on 17th Dec 2017. I feel honored to be part of this great camp & appreciate your gesture to offer for taste of foods before serving to kids. 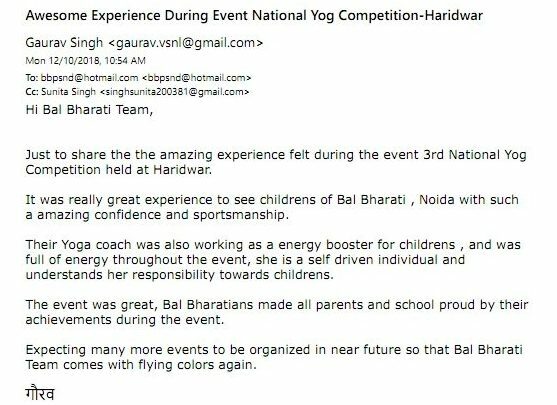 All School volunteers including Sarika Ma’am, have really done tremendous job to make this camp successful and memorable for kids and parents. This type of camp always gives a lot of energy and excitement to the kids and of course they enjoyed a lot. The overall arrangement, Camp followed by breakfast, lunch & Snacks was very well organized in a systematic way. I look forward to sharing this special moment with the School and be part of this kind of event in future also. Please don’t hesitate to let us know where we can be a helping hand for the school and kids. 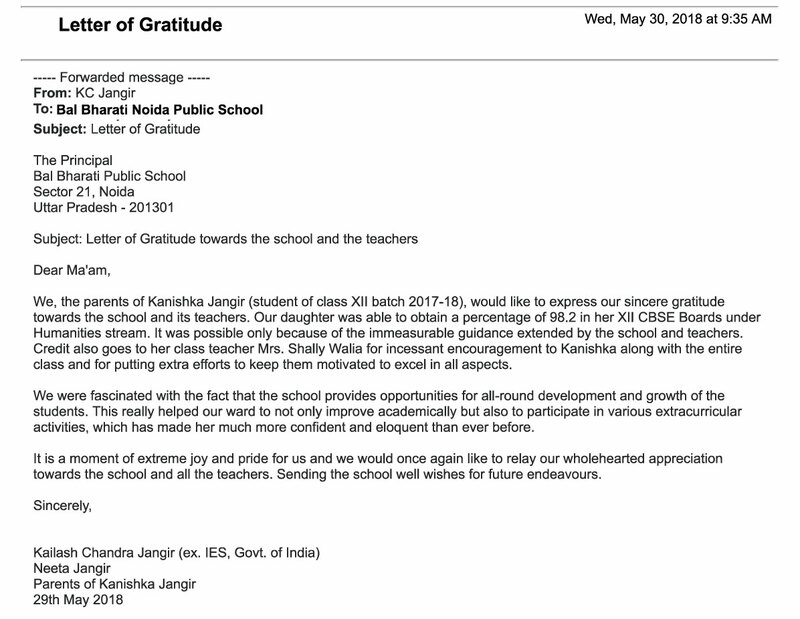 I just wanted send a "Thank You" note to all the teachers who have been guiding my little kid Shaurya Pratap Singh, Class 1 B, who has got 4th Rank at International as well Zoanl Level and 1st Rank at School Level in IEO 2017. Please do pass on my highest regards to all the teachers who are directly and indirectly guiding my son. 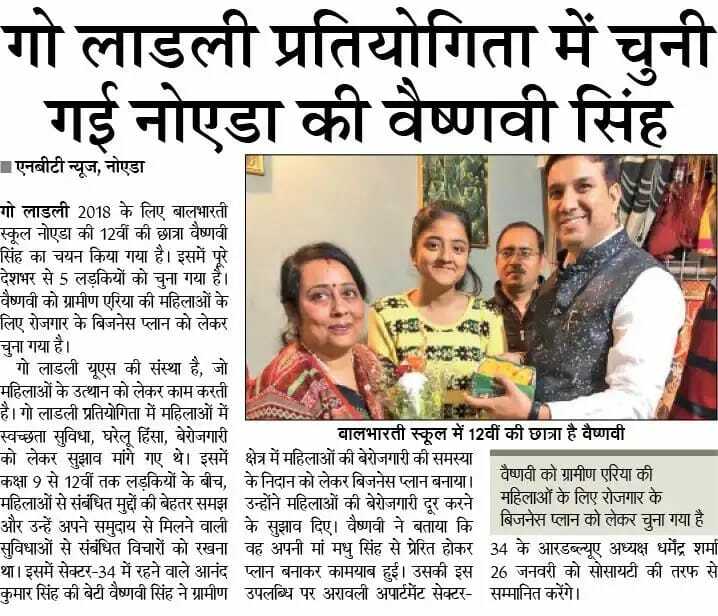 Many congratulations for guiding the young ones to achieve feats like this. I feel we can send this to Ms Gandhi, who is collecting comments like this for our branding activity. Thanks . 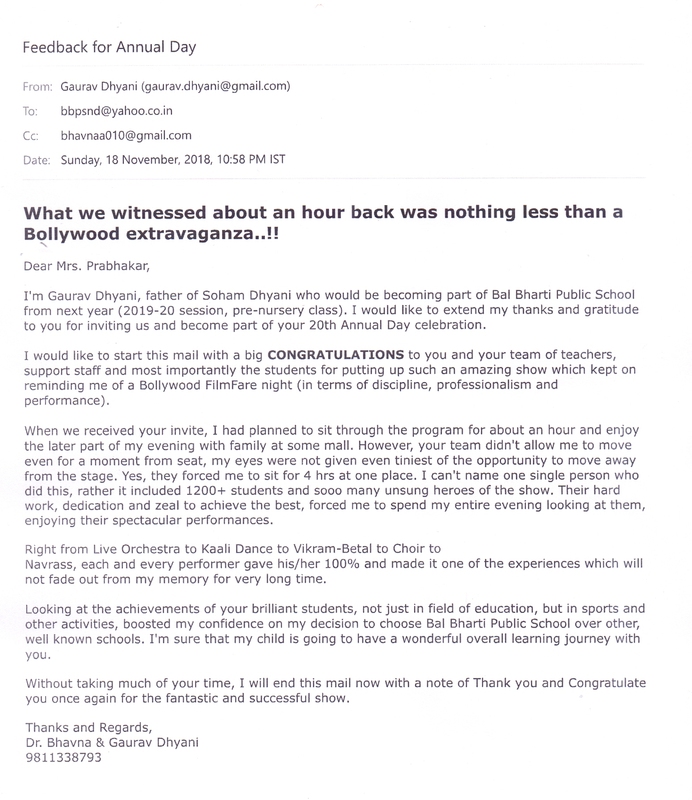 It was a super, outstanding function and pleasure to attend . Congratulations to you and the entire team for putting up the fantastic show . It is an honour to have been associated with this institution for nearly 25 years from its conception. God bless u all . Bhutani. Schools Annual Day Celebrations – what a programme of culture, Heritage and education work, creative urge of the highest order!! It was a wonderful day, Splendid efforts by you all to put up such a grand show. I am sure, it required a lot of Management skills, time and truck loads of patience to execute. I must say every minute it was hundred percent creativity and entertaining. It was really good treat for all the parents – whose words in large number, practically every one participated. Anchoring by the students, young and seniors and teachers set their own standards. Your creative leadership, collaboration and team work made it possible. I must thank Mr. Nikhil Channa Chairman BBPS, Noida Managing Committee for his encouragement and motivation to all for exploring new vistas. Congrats once more, wishing you all a great success. 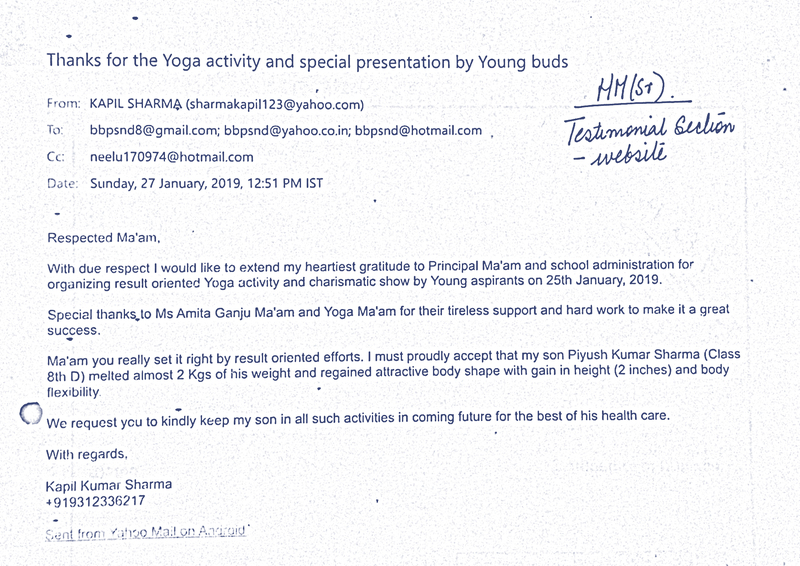 We, parents of Kushagra Singh (student of batch 2015-2017 admission No. 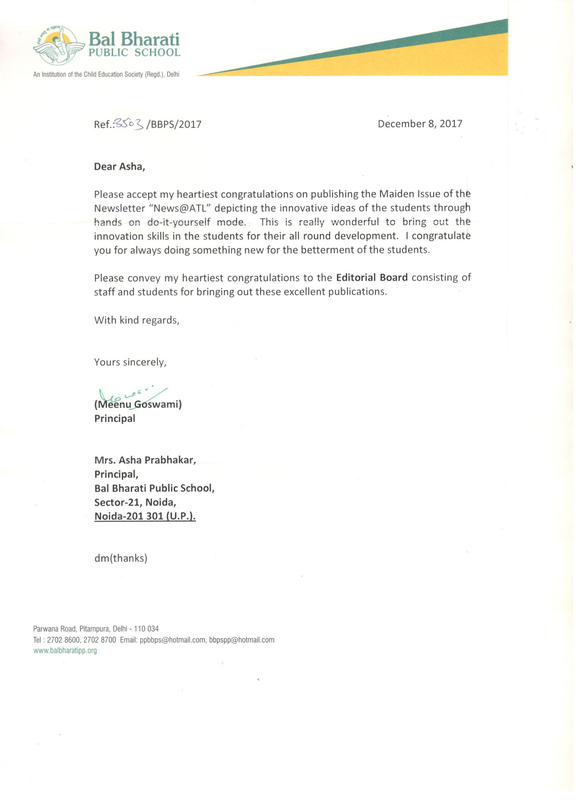 2980) want to extend our sincere thanks to you and all teachers of Bal Bharati Public School, Noida for their guidance and support during the last 14 years leading to what Kushagra is today as a student and an individual. It was a moment of great pride and joy for us to see Kushagra receiving the much coveted awards during the Annual Day and Prize Distribution function on November 18, 2017. 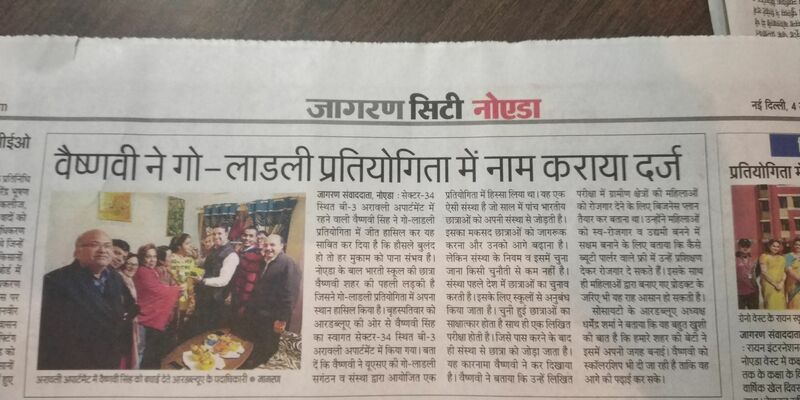 We felt honoured and overwhelmed to see Kushagra’s achievements, at the same time realizing that this is only the first step and he has a long way to go. The function was an excellent arrangement, executed to perfection by all staff and students. 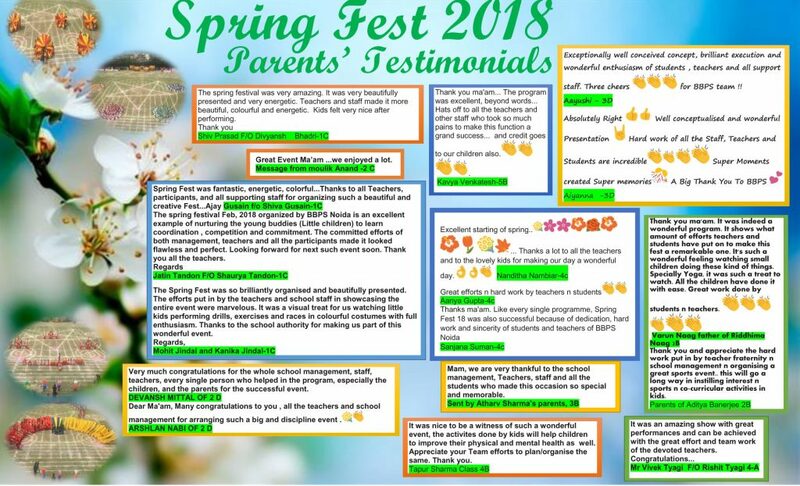 As parents, we extend our appreciation towards everyone who had put in the tremendous effort in organizing such an excellent show. That said, we would want to retain some of the most memorable moments of that evening in the form of photographs and videos, if available. Please do let us know the channel of communication through which we can request the same.